Wonder how you can enhance certain dish to perfection. By pairing it with the right wine, of course. 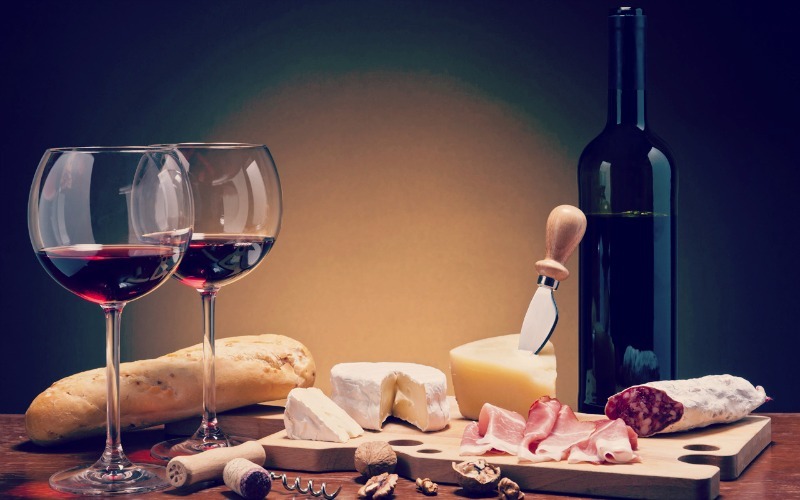 There are no strict rules when it comes to food and wine pairing. You could rather say that it depends on your personal taste. Getting to know your own taste and wine preferences can really help make the right food and wine combination. One thing is for sure, you can make any wine a good wine if paired and balanced with the right type of food. There are few things you need to bear in mind though. It’s important to make a balance. For instance, always pair delicate wines with delicate foods as well as richer foods with full-bodied wines. You must always take into account the structure, the flavour, the weight and the texture of the wine when pairing it with certain food flavours. Keep things as simple as possible. If food flavours are rich and complex, don’t rush to open your pricey wine, instead go with a cheaper variant. And vise verse. How do you expect to make the best food and wine pairings, if you don’t know your wine well. To make the right match, you must first take a sip of the wine you plan to serve. Roll it around your mouth and swallow. Think of flavours you taste and smell. Before you proceed with your dinner plans, think of wine acidity, texture and sweetness and pair it with food of similar characteristics. Even the cheapest wine can taste good if you know how to pair it with the right food flavours. Saltiness – Let’s make it clear, salty foods call for sweet dessert wines. It’s all about balance. Salty food lowers the acidity but increase the bitterness of the wine. Acidity – When you pair food and wine, remember not to use too much vinegar or dressing as this kills the flavour of the wine and eliminates acidity. Bitterness – Bitter foods like olives and radicchio have the power to eliminate the acidity and bring out the sweetness of the wine. You should know that young red wines pair well with herbs, olives and bitter green foods. Sweetness – Chocolate and sweet things pair perfectly well with Tokay and a Muscat wine. Umami – Wines that are high in tannin make a perfect choice for earthy broth style foods like miso, soups, roast meats, mushrooms and etc. Beef and Lamb – Full-bodied wines like Shiraz, Merlot, Pinot Noir, Zinfandel and Cabernet match perfectly well with this kind of food. Chicken – Usually, white meats pair well with white wines. Try Chardonnay next time you prepare grilled or roasted chicken. Spicy – If you are fan of spicy food, then you won’t make a mistake if you choose Riesling or sweet Gewurztraimmer. Tomato-Based Meals – Nothing tastes more delicious than a bowl of spaghetti paired with a good wine like Zinfandel. Desserts – Pairs perfectly with sweet wines.